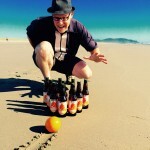 Tournament of Washington IPAs: Final Four — Washington state loves India Pales Ales — at least according to the thousands that have voted in our Tournament of Beer: Washington State IPAs. Yesterday’s IPA voting action doubled the previous highest vote count for a single day. And favorites fell. They fell hard. Every winner yesterday won by capturing 73 to 83 percent of the vote, except the Stoup Citra IPA vs Fremont Lush IPa game, which trade leads all day until 8 p.m.
What four hop-slinging breweries’ IPAs will move onto the Final Four? Let’s remember that every IPA that made it into the tourney is worth7. Still, there has to be winners. We started with 64 of the best IPAs Washington state has to offer. Now, these four boss IPAs face off for the ultimate glory — IBU to IBU battles to determine the best IPA in the state. Which IPA has the moxie to nail down the championship? Whose IPA will win it all? OK, pour a pint and dive into today’s Final Four IPA battles. Vote for one IPA per game, and only once. Voting for today’s IPA battles ends at 11:45 p.m. 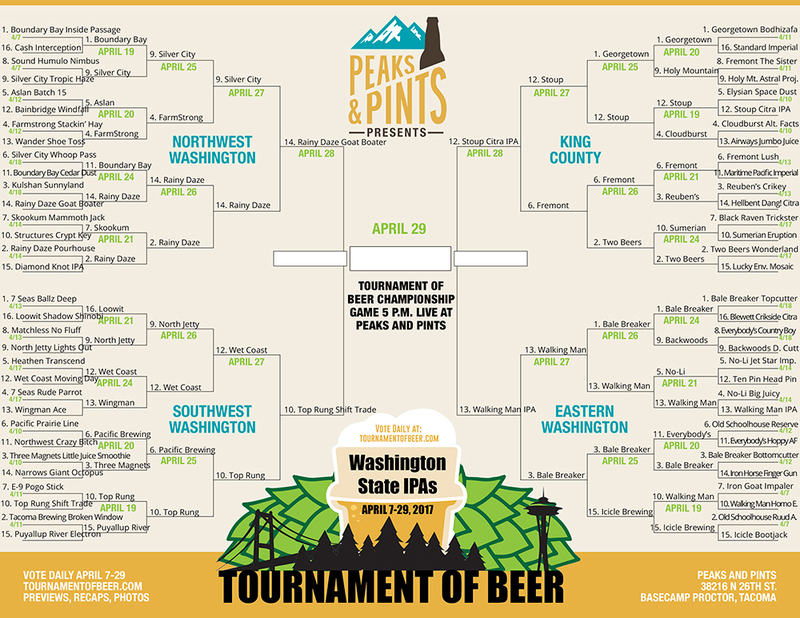 Check out peakandpints.com tomorrow and discover which two Washington state IPAs will battle it out in the championship game Saturday, April 29. The online voting will launch around 9 a.m. Saturday morning, closing at 4 p.m. At 5 p.m., the voting will resume live at Peaks and Pints during the Official Tournament of Beer Party. Both IPAs will be flowing from our Western red cedar tap log. The winner will be announced around 9 p.m. There will be much rejoicing!